Black Friday may be gone, but the deals keep coming, particularly for PC users. 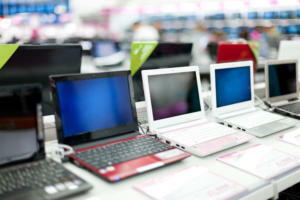 Black Friday is gone, but the sales continue with Cyber Monday—also known as national shop from your desk at work day. Just like Thanksgiving leftovers, retailers will tempt you Monday with warmed over specials from last month. 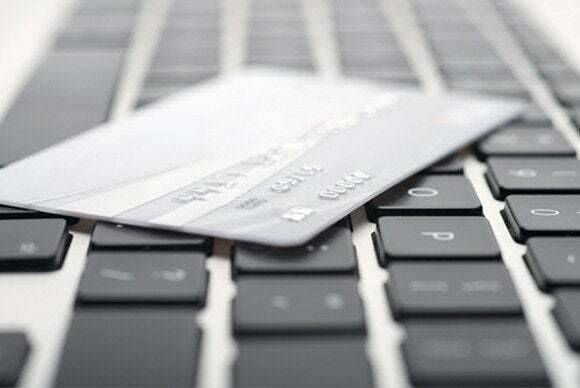 Never fear, we've found some gems for you including e-readers, laptops, smartphones, set-top boxes, and even a few peripherals. 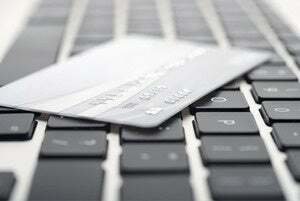 Lightning strikes: Keep your eye on retailers like Amazon and RadioShack that run limited-time deals all day. You can preview Amazon's lightning deals here and RadioShack will unveil its deals at the top of every hour until 11 p.m. Eastern. Specs: An 11.6-inch touchscreen display with a resolution of 1366 by 768 pixels, a 1.9GHz Intel Pentium processor, 4GB of RAM, a 500GB HDD, a webcam, 802.11b/g/n Wi-Fi, one USB 3.0 port, and one USB 2.0 port. 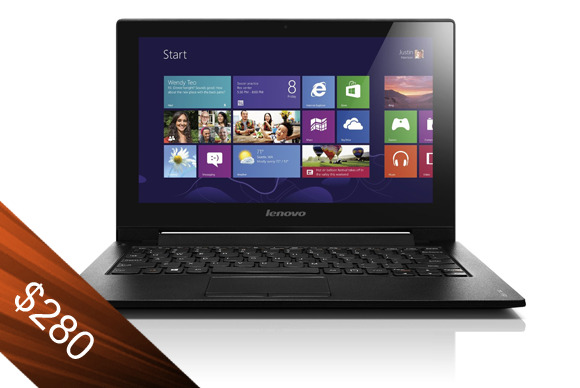 Description: It's not a huge savings for this Lenovo device compared to what you'll find elsewhere, but $280 is a good price for an IdeaPad with a fair amount of storage and a touchscreen display. Specs: Xbox One Day One console, Kinect, Xbox One wireless controller, an Xbox Live one-year membership, Microsoft Complete for Xbox One, three Xbox One games. Description: A great starter pack for the Xbox fan in your house. 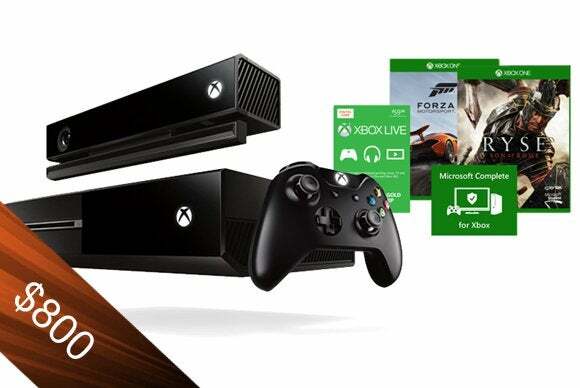 This bundle includes everything you'll need to get going with the latest generation of console gaming and includes an Xbox Live membership and an extended warranty plan. You also get your choice of three of the following games: Call of Duty: Ghosts, Battlefield 4, Assassin's Creed IV, Madden NFL 25, Just Dance 2014, Ryse: Son of Rome, Forza Motorsport 5, and Dead Rising 3. Specs: A 6-inch E Ink Pearl touchscreen, 2GB of onboard storage, an estimated two months of battery life (wireless off), 802.11b/g/n Wi-Fi, and a microUSB port. 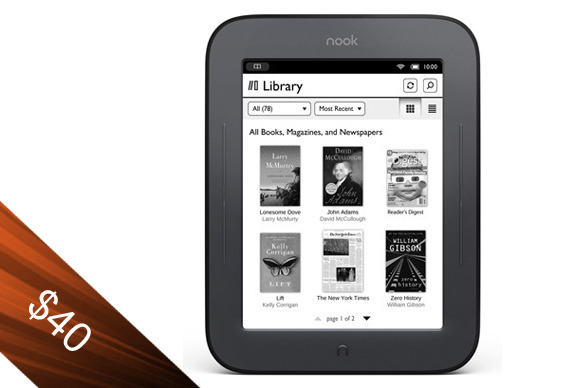 Description: Barnes and Noble has some great deals on its Nook Simple Touch devices on Monday. You can pick up this basic device for $40, or pay an extra $10 to get the Nook Simple Touch with Glowlight. 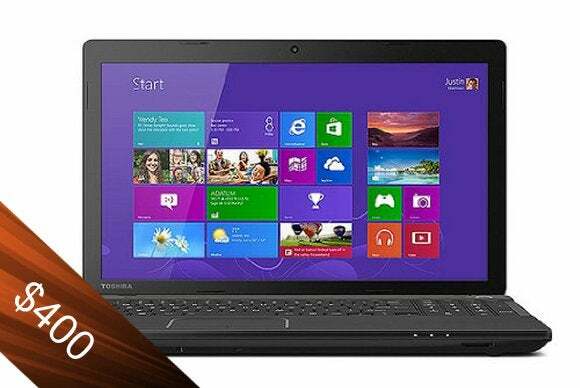 Specs: A 15.6-inch touch display with a resolution of 1366 by 768 pixels, a 1.6GHz Intel Core i5 "Haswell" processor, 6GB of RAM, a 500GB HDD, 802.11n Wi-Fi, Bluetooth 4.0, and 64-bit Windows 8. 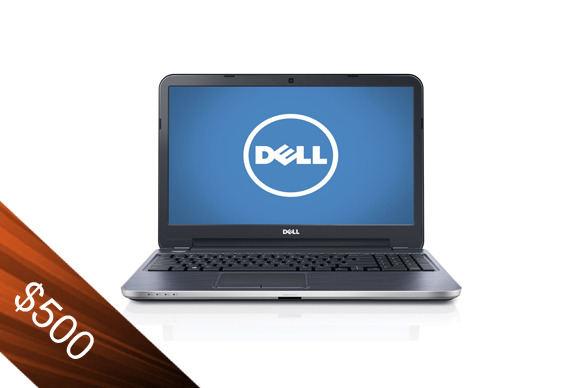 Description: This Dell special starts late in the day and offers a lot of value for $500, including the Haswell processor, the touch display, a healthy amount of RAM, and a reasonable amount of storage. Specs: 720p output, 802.11b/g/n Wi-Fi, HDMI out, more than 600 on-demand channels that include Netflix, Hulu Plus, Amazon Instant Video, and HBO Go. 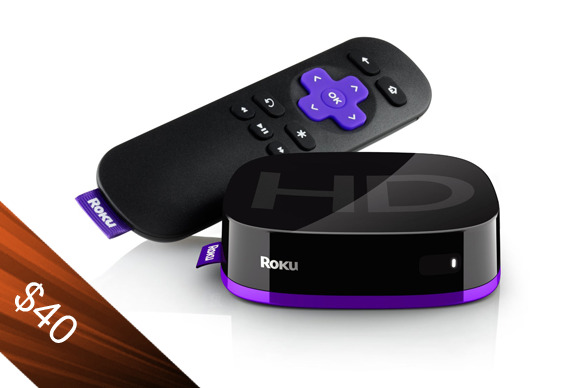 Description: If you don't care about having 1080p resolution, but still want a high-definition picture, then this cheap-o Roku is worth a look. Specs: A 13.3-inch display with a 2560 by 1600 pixel resolution, a2.6GHz Intel Core Haswell processor, 8GB of RAM, 512GB of flash storage, a webcam, Bluetooth, and 802.11ac Wi-Fi. 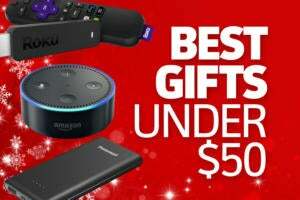 Description: Sales on Apple products are rarely a big deal for Black Friday and Cyber Monday, but this year there's been quite a few nice ones. 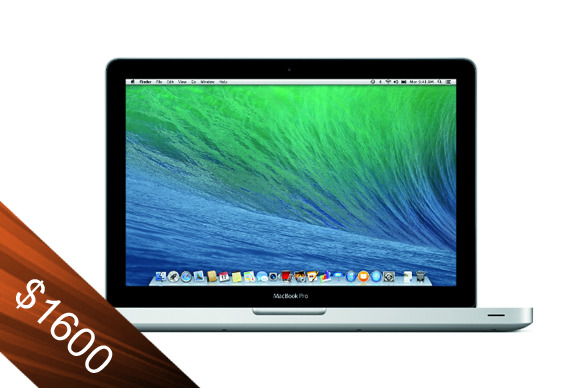 This high-end 13.3-inch Retina MacBook Pro is available for $200 off, and the onboard storage is on par with most PCs. Specs: Two weeks of free streaming of all Hulu content across PCs, set-top boxes, and mobile devices. Description: Normally, Hulu Plus offers just a seven-day free trial to stream the service's entire catalog of top-shelf television episodes and a smattering of movies. Cyber Monday is your last chance to try Hulu Plus for an extra week with no commitment afterwards (unless you forget to cancel). 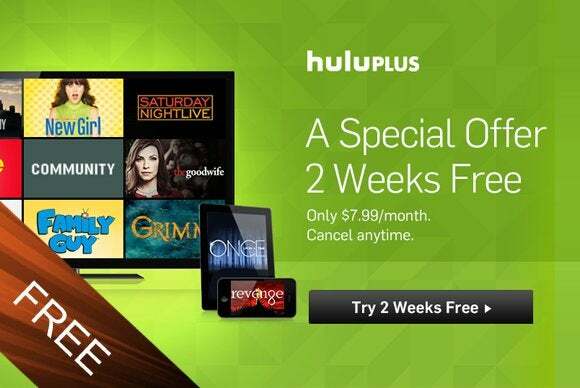 Hulu Plus is priced at $8 per month. 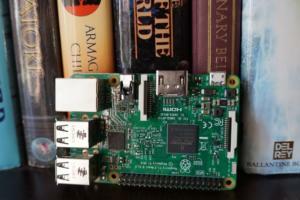 Specs: SATA III, 250GB of storage, a 2.5-inch internal drive. 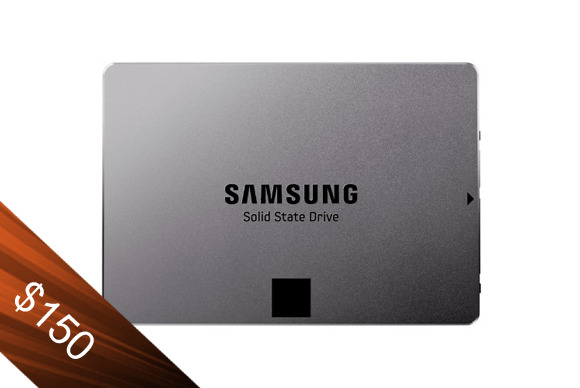 Description: Speed up a laptop PC with this sleek SSD and pay $100 less than you normally would. Specs: Silver, 2TB of storage, USB 3.0, 5400 RPM. 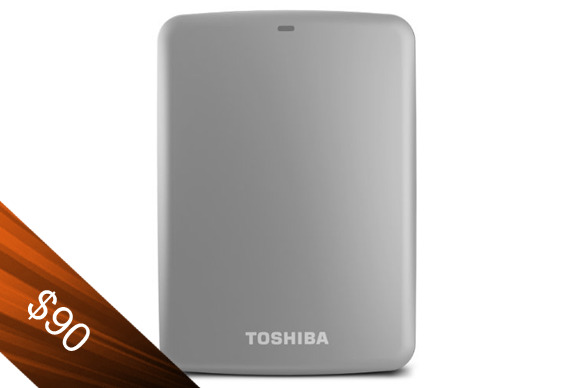 Description: With enough room for more than 450 high-definition movies, this 2TB hard drive has all the storage you'll need to back up your PC on the go or just have a small drive around the house for routine backups and extra storage. Specs: A 9.7-inch display with a resolution of 1024 by 768 pixels, a dual-core A5 processor, 16GB of onboard storage, front- and rear-facing cameras, Bluetooth 2.1+EDR, 802.11a/b/g/n Wi-Fi, and iOS 7. 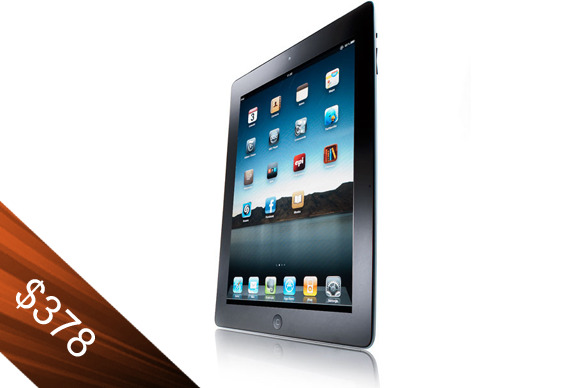 Description: It's not the amazing $100 off that Best Buy offered on Friday, but this iPad 2 is still $21 cheaper than you'll get from Apple today. Specs: A 15.6-inch display with a resolution of 1366 by 768 pixels, a 2.3GHz Intel Core “Sandy Bridge” i3-2348M processor, 6GB of RAM, a 500GB HDD, two USB 2.0 ports, one USB 3.0 port, a webcam, 802.11b/g/n Wi-Fi, HDMI out, a memory card reader, and Windows 8. Description: This Toshiba laptop may be rocking an Intel Core processor from two generations back, but at least it has a nice clock speed. You also get a good amount of RAM, reasonable storage, and all the extras you'd expect minus Bluetooth. It does weigh 5.4 pounds. 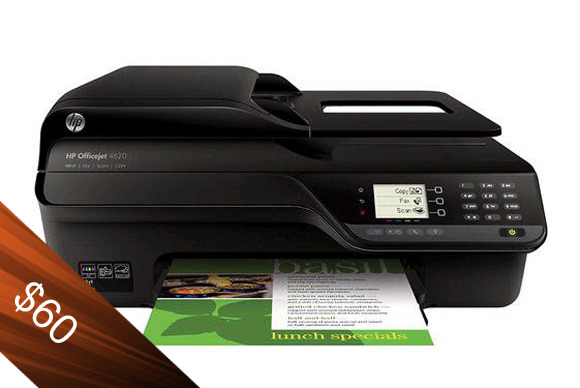 Specs: Print, scan, copy, fax, 802.11b/g Wi-Fi, USB 2.0, 2-inch Mono LCD, prints up to a 4800-by-1200 dpi resolution. Description: Both Office Max and Staples are running a deal on this HP OfficeJet that typically sells for $80 to $100. Specs: A built-in 100 watt RMS amplifier, subwoofer with 8" driver, four satellites rated 125-20,000Hz, and a center speaker rated 130-20,000Hz. 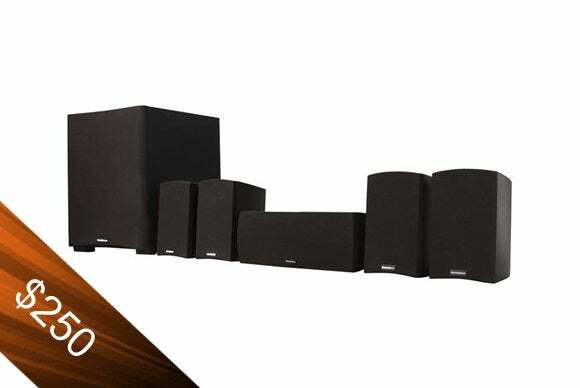 Description: These speakers look small, but they're packed with big sound. Both crisp highs and rumbling lows are represented well here, and at $250 the whole set is a steal. 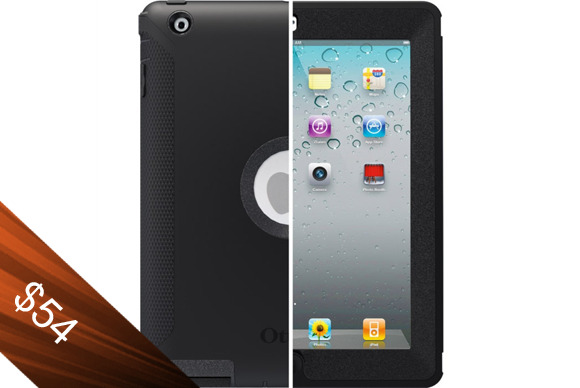 Specs: Black, built-in screen protector and stand, made of silicone. Description: Construction workers, parents of small children, and daredevils will appreciate an iPad case that can stand up to punishment and abuse. Specs: A 7-inch display with 1920 by 1200 resolution, a 2.2GHz quad-core Snapdragon 800 processor, 2GB of RAM, 16GB of onboard storage, a front-facing camera, 802.11a/b/g/n Wi-Fi, Bluetooth, and Fire OS 3.0. 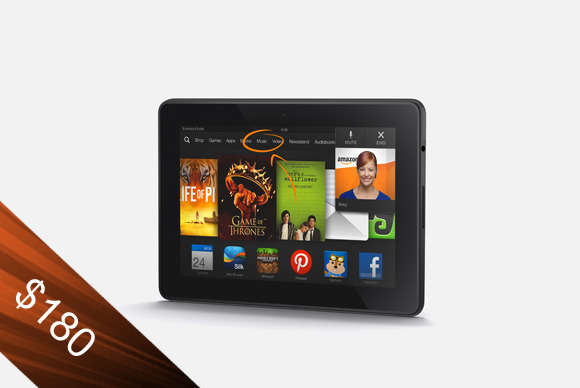 Description: Amazon is selling all versions of its 7-inch Kindle Fire HDX and Kindle Fire HD for $50 off on Monday. Any of them could be a solid gift for the Amazon addicts in your life.